For my birthday, which unfortunately is months away, I'm thinking about getting a shipment from Jeni's ice creams in Columbus. Jeni's signature flavor is salty caramel and ever since I first heard about it, I've been meaning to get my hands on some. Columbus is too far away to make a trip special for ice cream--I have responsibilities, after all--so the next best thing is to make it myself. Salty caramel, as far as I know, is a unique Jeni's creation. I haven't found any recipes for it or reports of other places that serve it. 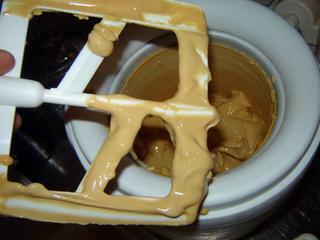 Before I started this ice cream project I had never made caramel and had never made salty ice cream. I wanted to feel confident in my ice cream and caramel skills before plunging into figuring this all out for myself. Like deep frying, making caramel sounds tricky and dangerous. Both involve heating a liquid to a very high temperature. If any gets on your hands or arms it could burn you badly. And if you don't do it right, the food will be ruined. That said, I have had no problems with either of these techniques and they no longer scare me at all. 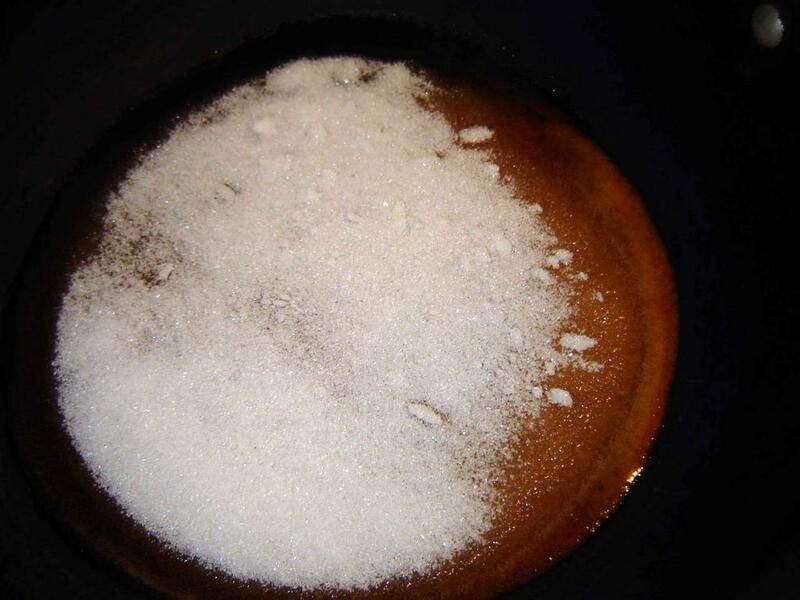 To make caramel, you put sugar in a pan and turn up the heat. Eventually it turns into a thick, dark brown liquid. You turn off the heat before it gets too dark. That's the whole operation. To make this ice cream, I used almost the exact same ingredients I would use to make vanilla: 1.5 cups of half and half, 0.5 cups heavy cream, 4 eggs, 4.5 oz. sugar (I used vanilla sugar and left out any additional vanilla). That's it. I put the sugar in a pan and caramelized it. Then I added the half and half off the heat, then returned the pan to the stove to dissolve the caramel in the half and half. At first it looked like an inedible mess, but eventually it all melted into a uniform golden-brown cream. This took about ten minutes, during which time I'm pretty sure some of the proteins in the cream also browned, adding the benefits of Maillard reaction flavors to the robust caramel ones you get from browned sugar. Read Harold McGee's On Food and Cooking for more on this. I whisked the yolks, tempered them into the mixture, brought the heat to 170 (in about thirty seconds), and then strained into a bowl with the heavy cream. 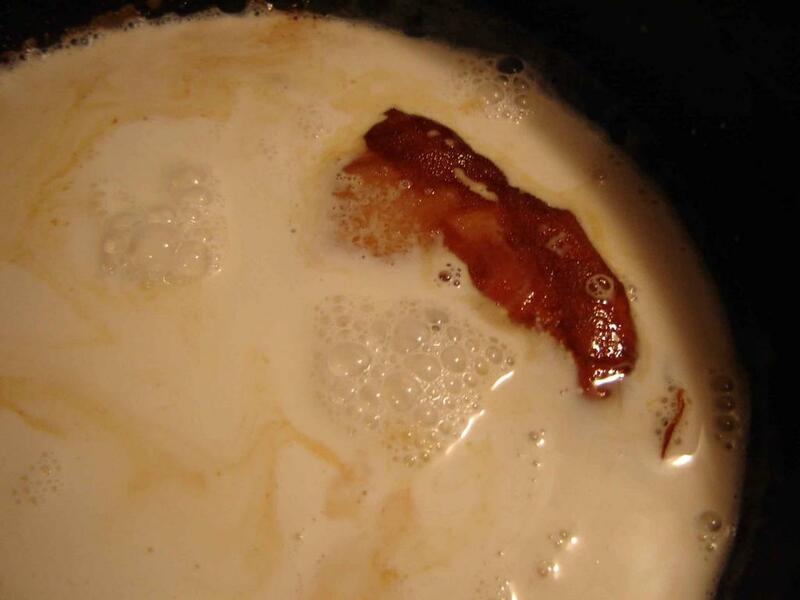 Ok, why leave out the heavy cream until now? Because the custard will cook without it and keeping it cold speeds up the cooling process. It worked. You will recall I said "salty caramel." What about the salt? Simply put, I chickened out. I was going to add salt to the mixture while it was hot but I decided it would be safer to master caramel ice cream before plunging into salty caramel. And I'm really pleased that I chickened out because the caramel ice cream I made is too good on its own to screw with it. Caramelizing the sugar further thickened the custard. It froze more quickly than other ice creams and this made its texture incomparable. Rich, smooth, buttery. Really great, more like gelato or frozen custard than like my other ice creams. I served my caramel ice cream with coarse salt on the side and sprinkled some on. It was delicious with the salt but no less without. I still want some Jeni's come February, but this will be a damn fine substitute in the meantime. oooo la la. i like this one. With your proxmity to Kopps, how could you even THINK of going to, of all places, Ohio for frozen dairy treats? The sprinkling of salt on top is beautiful! One of my big complaints with store bought caramels is that they aren't salted properly... your ice cream made me smile. Personally, if you want the best salty caramel ice cream you should definitely try Denise's Ice Cream (also in Columbus). We bought Jeni's and Denise's salty caramel ice creams and did a blind taste test (my husband the willing test participant). After very careful analysis of the complexity of flavors, Denise's came out on top. I'll be fair, Jeni's has awesome wacked out flavors such as Spicy Thai ice cream and (my favorite at Jeni's is Maker's Mark Bourbon ice cream). But Denise's has the best salty caramel. Hopefully they ship to you. I can't agree with Denise on this one. Perhaps she's biased, her name and all. Jeni's is in my (completely biased) opinion, superior to Denise's, even on flavors they copied from Jeni (Salty Caramel, for instance). Besides, Jeni is the nicest, cutest, smartest person you'll ever meet. Stan (from Denise's) is the drunkest, meanest, foulest personality in the Columbus food world. 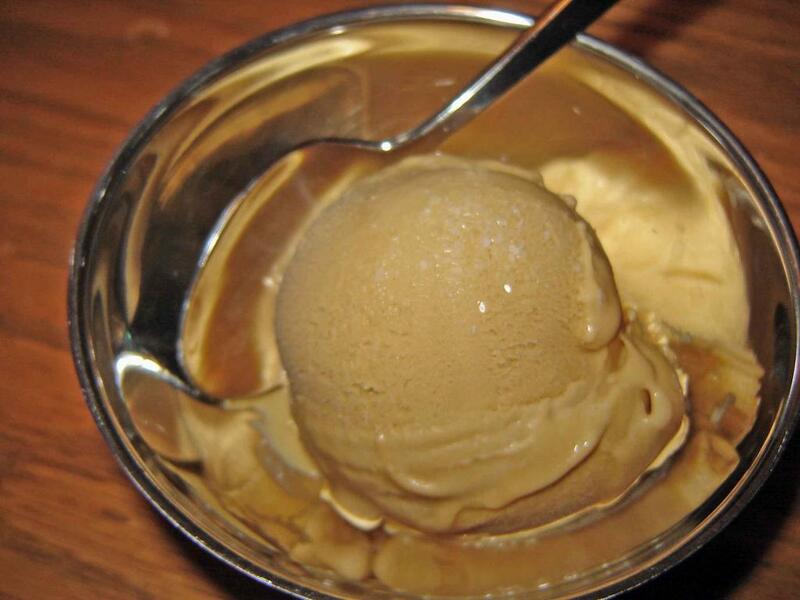 Actually, salted caramel ice cream isn't a Jeni's creation. It comes from France, where on the Atlantic coast they use butter containing fleur de sel to make their caramel. The large salt crystals don't survive the churning process, so they add some just before churning is finished and then put it in the freezer to harden. If you ever happen to be in St-Jean-de-Luz in the French Basque region (just north of the Spanish border), try some of the "Glace Caramel Salée" -- it's the best I've ever had.